Ban Trump! 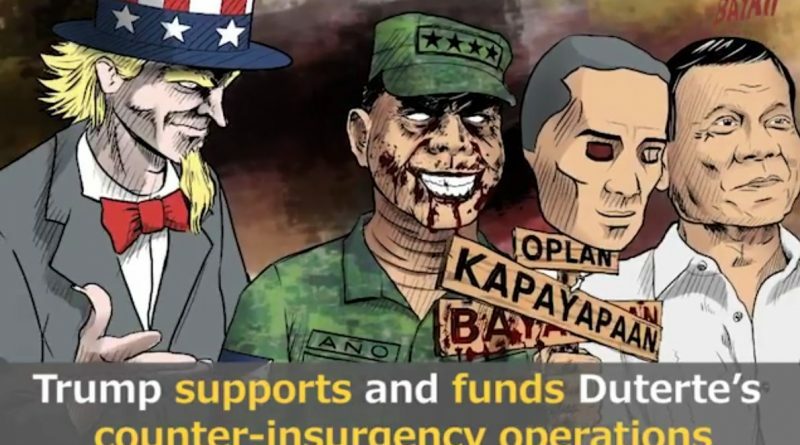 Resist the fascist US-Duterte regime! Nothing beneficial is expected from the Trump visit to the Philippines. The Filipino poeple desire genuine freedom from any foreign dictates and intervention. This is a key aspect for the Philippines to be able to chart its own path to progress. It is only through the assertion of sovereignty that the Philippines will be able to stand on its own two feet. It is time to end all forms of foreign intervention and unequal relations. It is time to place national interest above any foreign dictate. The time has come to uphold Philippine sovereignty. US troops out of the Philippines and Asia! Down with US imperialism!